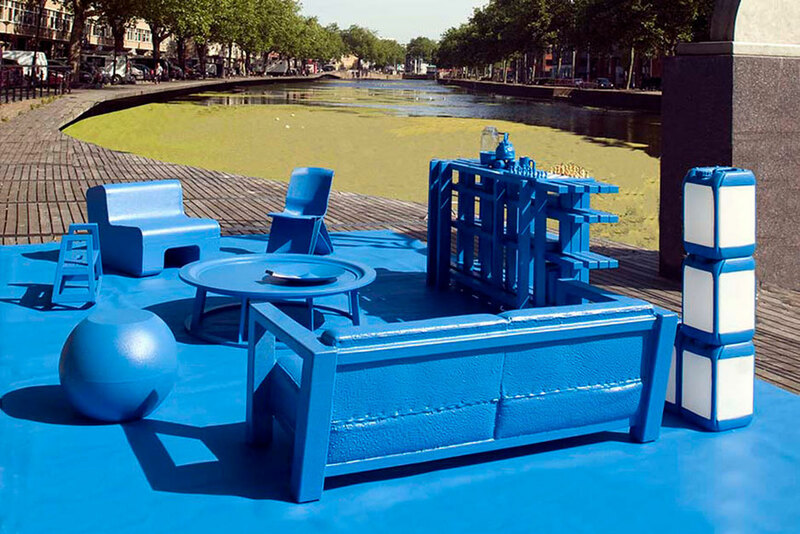 The Urban Living Room is a living room consisting of contemporary Dutch Design. A design that focuses on hospitality and small-scale meetings in the big city. 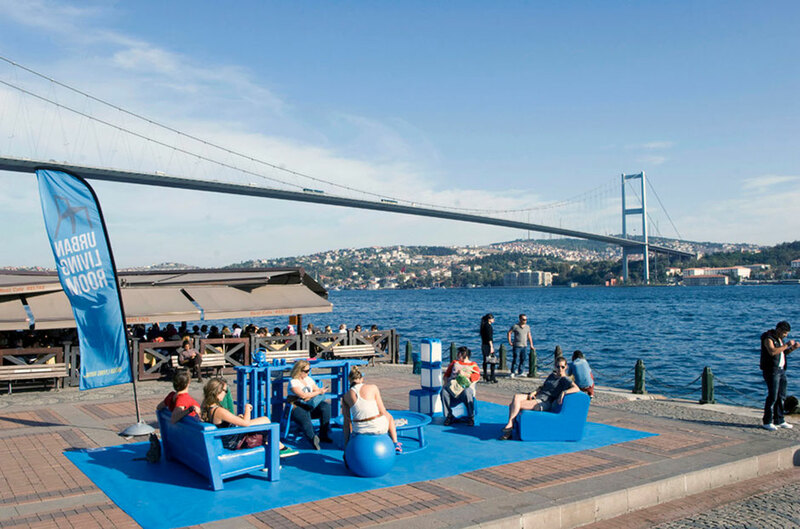 It’s a social design which brings a temporary welcoming place to the urban environment. There, people can meet in a homely setting. 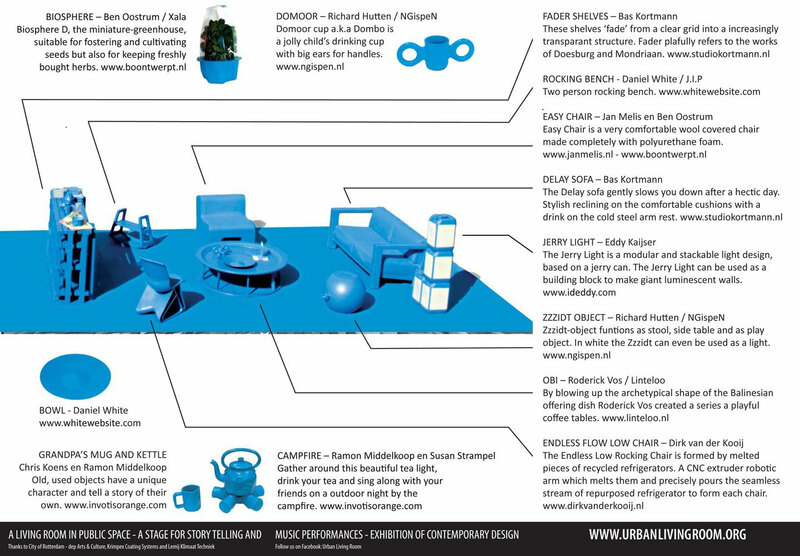 The Urban Living Room travels from place to place, city to city. There it will add a contrasting layer to the local environment. 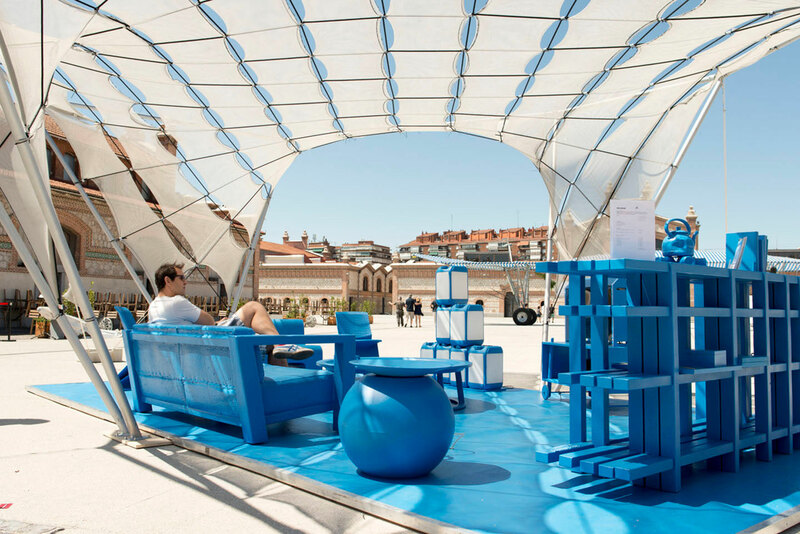 The bright uni-color and the indoor homely feeling of the Urban Living Room make it stand out in urban landscapes, parks, in nature and exhibition spaces. 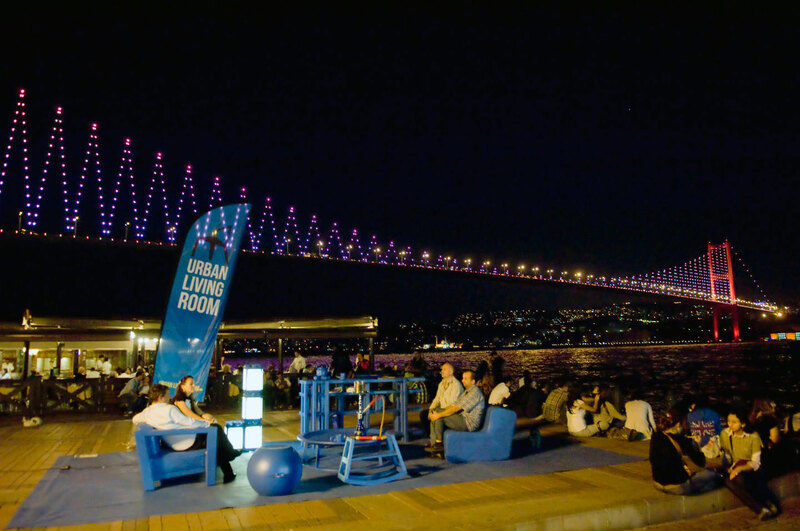 The Urban Living Room is a social meeting place. That’s why all kinds of small scale activities are programmed. 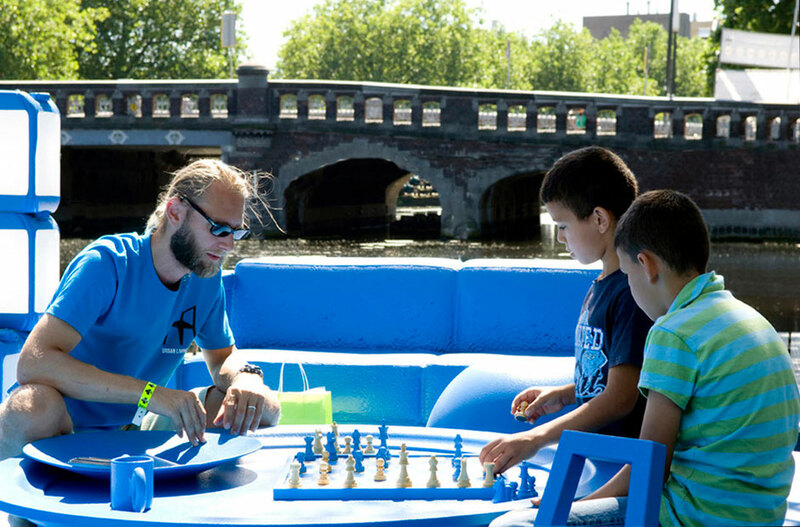 For instance, you can play board games, listen to (kids) story telling and enjoy live music from local musicians. With the advancing urbanization and increasing economic interests, there’s a lot of pressure on public space. We design a public living room as a temporary social intervention. 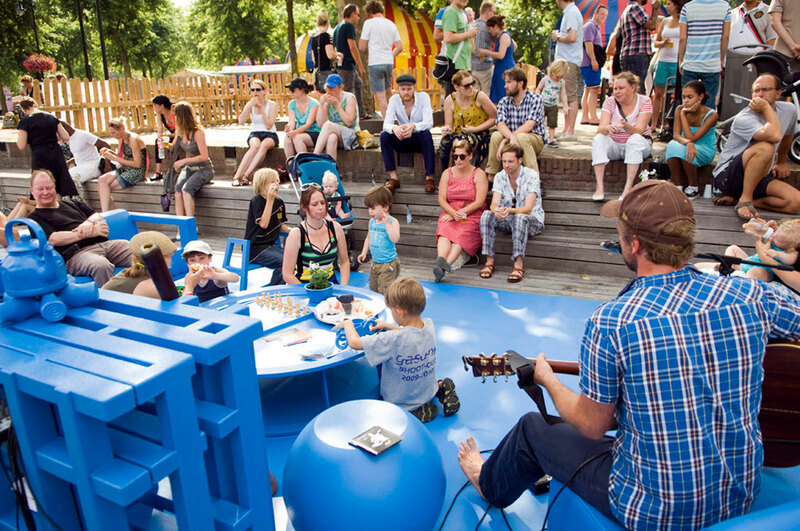 An intervention in public space where people can meet and enjoy. The Urban Living Room shows convincingly to whom the public space of the city belongs to: the people. 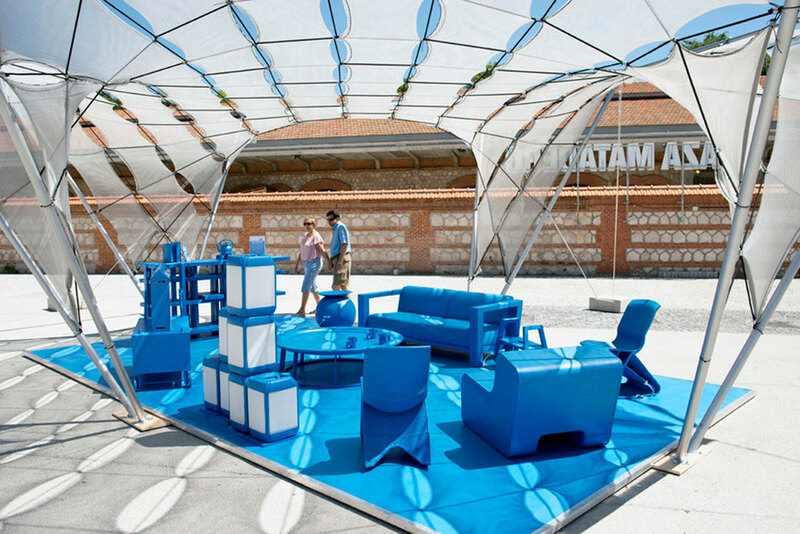 Residents of the city get a temporary meeting place as a social statement. unexpected place, we create an opportunity for that home feeling. With this project we want to explore that feeling. Important in the development of a city are the contacts between people, especially on a cultural and social level. The Urban Living Room is a prime example of encouraging this. 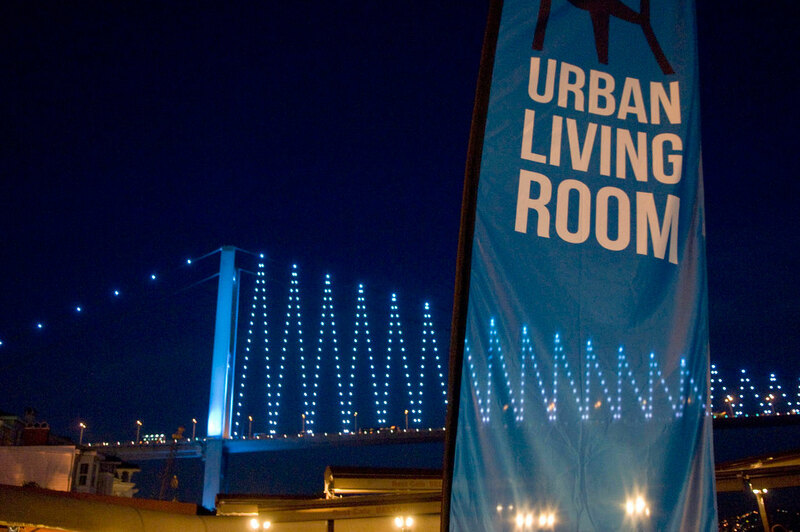 If you want the Urban Living Room in your city, neighbourhood or on your event please send us a message or pick up the phone. Customized living rooms can be realized as well. Just tell us your wishes. 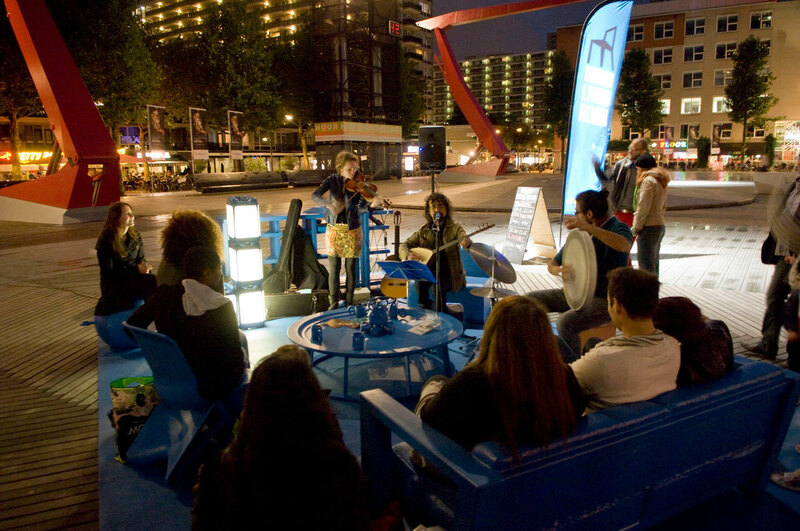 The Urban Living Room is a living room in public space. The main reason is to create a homely place in the public domain where people can meet each other. A design that focuses on hospitality and small-scale meetings in the big city. In that sense it’s a typical social design project. 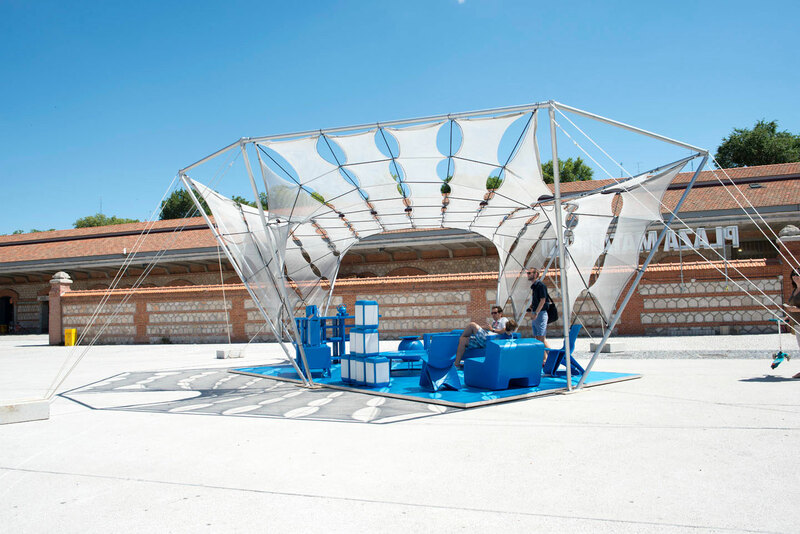 At the same time it encourages the discussion about ownership and use of public space. Public space is under pressure in the ever growing cities. 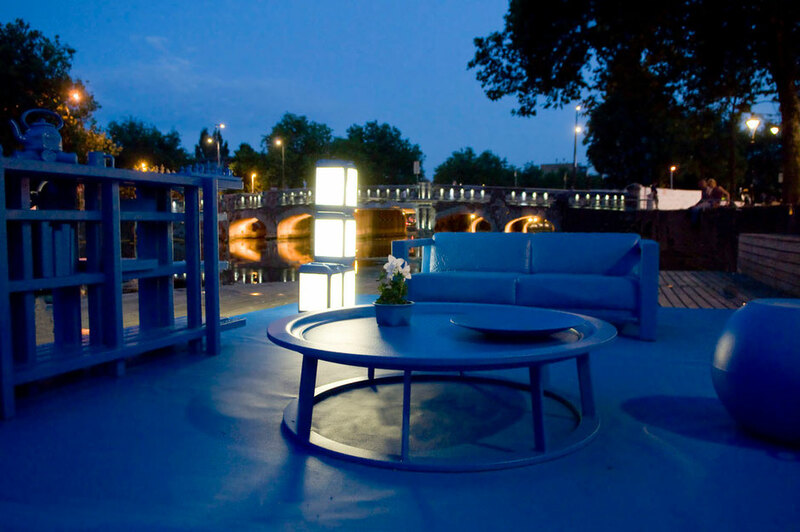 The designers of the Urban living Room explore opportunities for more loose, temporary and ﬂexible manners of spatial planning and architecture. The Urban Living Room seems to be one of the answers to this increasing need of higher ﬂexibility in urban environments in landscaping. Everywhere the Urban Living Room pops-up it adds a contrasting layer. The uni-color and the indoor homely feeling make it stand out in urban landscapes, parks, in nature and exhibition spaces. The furniture in the urban Living Room is quite unique. It includes pieces of well known designers like Dirk van der Kooij (Dutch Design Award winner 2011), Roderick Vos for Linteloo, Richard Hutten for NGispeN, Ben Oostrum and Jan Melis, Daniel White, Chris Koens, Ramon Middelkoop, Mad Lab desino, Eddy Kaijser/Studio ID Eddy (Dutch Design Award winner 2009) and Bas Kortmann/Studio Kortmann.